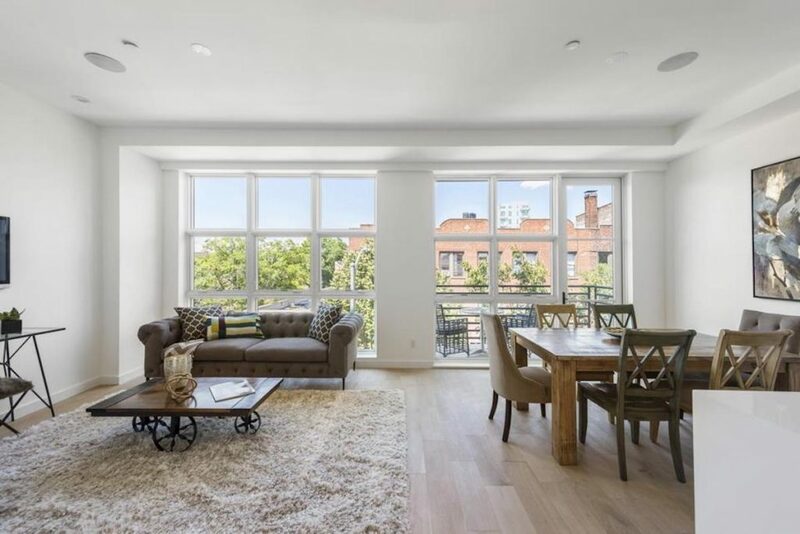 Located on the appropriately-named Grand Street in Williamsburg, M Development’s 404 Grand Street hosts several luxurious amenities that make it stand out in a neighborhood that is rapidly gaining popularity. 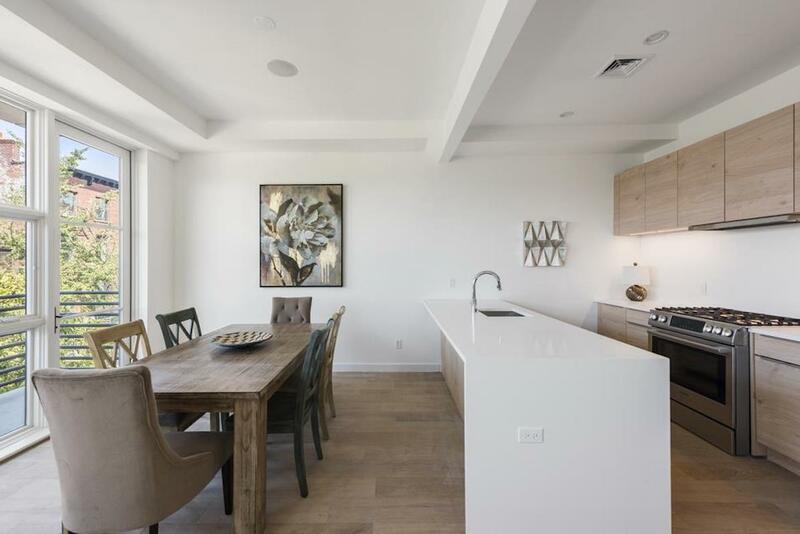 The development houses a total of 5 units, ranging in size from 568 square feet to 1,490 square feet with one to two bedrooms, and two duplex units — including a penthouse that boasts three private outdoor spaces totaling over 670 square feet. 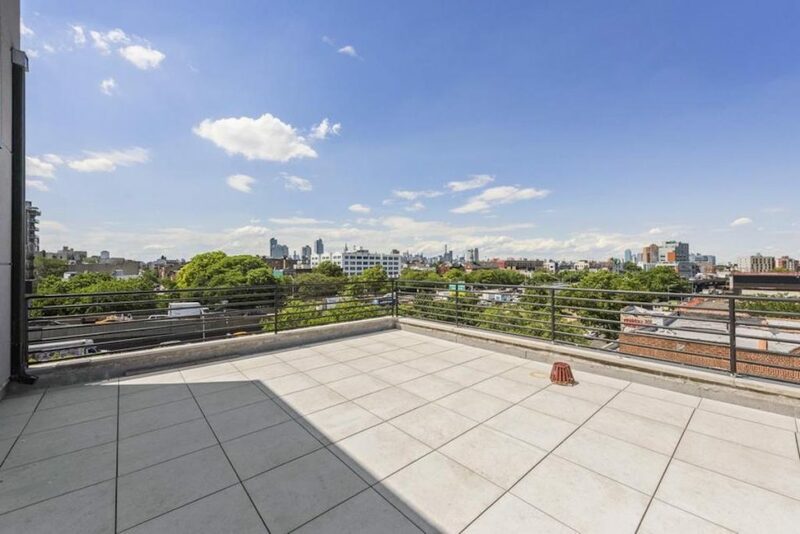 The penthouse’s rooftop offers a stunning view of Greenpoint as well as neighboring Long Island City in Queens. All residences feature exquisite European-style kitchens with a full range of Miele stainless steel appliances, and spacious, modern bathrooms. In addition to the penthouse, every suite has its own outdoor area for hosting get togethers or just relaxing. Storage units are included with every home purchase, making organization effortless. Grand Street is a thriving main street with bars, nightlife and a myriad of restaurants catering to different flavors. Adventurous, outdoorsy types can even take scuba lessons or wage a paintball war a short walk from their front door right on Grand Street. Williamsburg is conveniently located near multiple train lines, allowing for short commutes into Manhattan. The Brooklyn-Queens Expressway is also just minutes away. Prices for available units range from $750,000 to $1.7 million. Interested homebuyers can email sales@mdevelopmentnyc.com for more information or to schedule a tour.